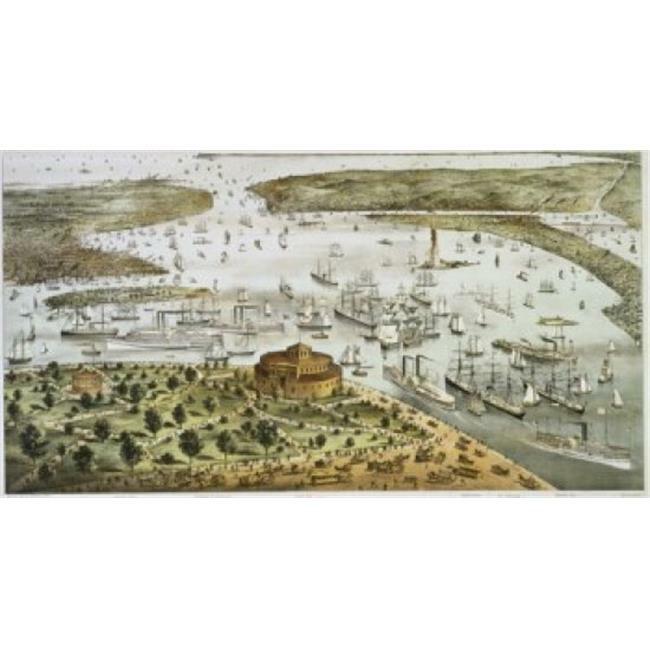 ›Posterazzi SAL9001273 The Port of New York Birds Eye View of the Battery Looking South Currier & Ives a 1857-1907 American Color Poster Print - 18 x 24 in. Posterazzi SAL9001273 The Port of New York Birds Eye View of the Battery Looking South Currier & Ives a 1857-1907 American Color Poster Print - 18 x 24 in. The Port of New York Bird's Eye View of the Battery Looking South Currier and Ives Color is a licensed reproduction that was printed on Premium Heavy Stock Paper which captures all of the vivid colors and details of the original. This print is ready for hanging or framing. A great addition to your wall decor and poster collection!